Oily skin can be difficult to manage, especially in the summer months. An oily complexion can leave skin looking greasy and be prone to breakouts, so it isn’t surprising that rebalancing oil levels is desirable. Oily skin is caused by an excess of sebum, skin’s natural oil. Overactive oil glands produce more oil than is necessary. Complexions are left with a greasy residue, pores are enlarged and the skin is prone to blackheads and blemishes. The positive of having an oily complexion is that the skin ages less quickly, so less wrinkles! While some people have genetically oily skin, others can develop oily skin overtime due to a number of factors. The good news is that both can be minimised with a new skincare routine and avoiding the triggers. One of the main causes of oily skin is hormones, and this can be both during puberty and the menstrual cycle. During adolescence there is an increase in the hormone androgen which can cause the oil glands to work harder. This normally stops with time as skin becomes drier with age. Hormones during the menstrual cycle affect your body in a similar way, and is the common culprit for those spotty days before your period! When you’re stressed, your oil glands can also go into overdrive and leave you with a greasy complexion. This can mean both mental stress and physical stress on your body. So if you’re going through a stressful time in life, you may well notice that your skin type changes. The weather can play a big factor in how oily your skin is, and as the seasons change you should switch up your skincare routine to accommodate for the ever-changing environment. 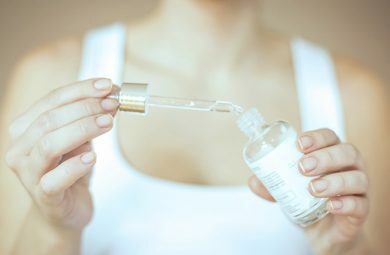 Humid weather particularly can cause your skin to sweat and produce more oils, so it’s important you regularly cleanse your face to remove excess oils. Whilst your diet can’t change your skin type, a good diet can make your skin easier to manage and reduce the risk of flare-ups caused by excessively oily skin. Avoid too much sugar and refined food which are high in saturated fats. Instead opt for fruits, vegetables, grains and foods high in vitamins A, C and D.
If you suffer from acne and have an oily complexion, you may be tempted to cake on the makeup to cover up the damage. However, if you aren’t removing your makeup thoroughly at the end of the day, it may be causing more harm than good. 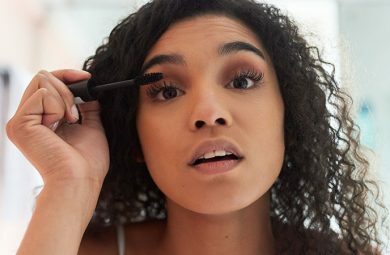 Leftover makeup, dirt and grime can trap your natural oils and encourage acne outbreaks and sebum to go into overdrive. No matter if you naturally have an oily complexion, or your skin has become oily over time, you can manage your skin type and rebalance your moisture levels. Keeping your skin free of excess oils and makeup is crucial if you want to rebalance your skin type and banish the blemishes. Use oil-based products to dissolve sebum and remove impurities and makeup. Avoid harsh cleansers as these will strip your skin of natural oils causing your oil glands to overproduce excess oils. 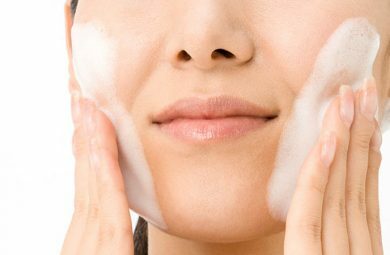 If you are suffering with severely oily skin or acne you may want to pay a visit to your doctors to find out the main cause. Medication for men and women can be prescribed to reduce the amount of oil production, or hormonal treatment can help rebalance women’s hormones. Whilst only a temporary solution, blotting papers can instantly reduce the greasy appearance of an oily complexion. They are perfect for daily out and about use. Simply pat down your skin with the papers and the shine will disappear. Face masks can deliver stronger and more instant results than your standard skincare routine components. Clay masks are great at absorbing excess oils, and can also provide the deep cleanse that oily skin needs. Try using a clay mask once a week to keep on top of clogging and oil build up. Oily skin can easily be controlled with a lifestyle rethink and some changes to your skincare routine. But try to enjoy the fact that your oily complexion is also keeping you wrinkle-free!